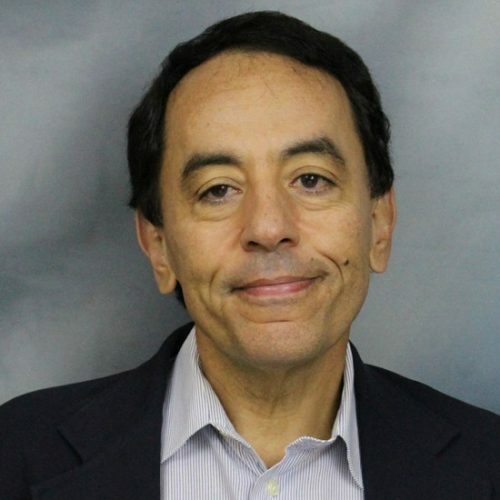 Mohammed A. Zikry is the Zan Prevost Smith Professor at North Carolina State University in the Department of Mechanical and Aerospace Engineering. He received his Ph.D. from the University of California, San Diego, his M.S. from the Johns Hopkins University, and his B.S. from the University of Kansas. Amongst his recent awards, he has received the Jefferson Science Award as a senior science advisor to the U.S. State Department, Senior Research Fulbright Award to Egypt and France, the ALCOA Distinguished Research Award, the Research Excellence Award (NCSU) and the Ralph Teetor Research Award from the Society of Automotive Engineering. He has been awarded a Professeur, Premiere Classe, Strasbourg University, and he is also a Fellow of the American Society of Mechanical Engineering (ASME), the Regional Editor for Mechanics of Materials, and is co-chair of the Executive Committee of ASME’s National Materials Division. He has been a senior research advisor to the Army Research Office and the Department of Defense, and a consultant to numerous industries and organizations. Humanitarian demining will be advanced by exploiting a new sensing modality based on magnetically induced vibrations of small metallic parts. An alternating or pulsed magnetic field induces vibrations of structures containing diamagnetic and paramagnetic materials. If these materials are conductive then the primary mechanism driving vibrations is the induction of eddy currents and subsequent Lorentz forces. While the physics is known, the analytic modeling is intractable which affects the ability to optimize a vibration-enhanced underground sensing system (VENUS). The main problem addressed in this proposal is researching a working mathematical model of a complex interacting system involving multiple physics, multiple scales, and multiple analysis domains. This project will explore the abstraction levels necessary to achieve usable multi-physics simulations of magnetically induced mechanical vibrations accounting for different material types, ageing effects, construction variability, and the effect of different soil types. This research project will develop a thermo-mechanical model of the Electron Beam Melting process that will predict how the process parameters will affect the resulting microstructure and potential defects that are formed during the process. The model will be validated via experiments and the resulting microstructures will be analyzed by our collaborators. The experiments will be using different speed function and the resulting microstructures and defects will be analyzed. The goal of the project is to finally fabricate a complex geometry where the properties and microstructures can be predicted by the developed thermo-mechanical model. We will model the failure behavior of zircaloys subjected to extreme changes in load and temperature. Conduct mechanical strength and failure experiments pertaining to ITO/IZO thin films to determine the adhesion strength of ITO and IZO thin films and to understand how cracks can initiate cohesively either in the thin film or along the interface. Organic semiconductors have the potential to revolutionize macroelectronic devices including solar cells and displays. Organic solar cells, in particular, may provide renewable energy that is cost competitive with fossil fuel sources. A key aspect of this technology is the inherent flexibility and low temperature processing methods of the organic materials. These attributes allow for low cost roll-to-roll production onto lightweight plastic substrates with potential for simpler installation in traditional implementation settings as well as employment in unique applications afforded by their thin film flexible characteristics. While flexibility is critical to the success of organic solar cells, there has been limited research into the mechanical properties of the active layer of these devices. The proposed research aims to investigate the mechanical properties of the active layer of organic solar cells. Professor Zikry will be teaching the Mechanical Engineering Senior Design Class at NCSU this fall. These funds will be used to sponsor 4-5 teams of 4 students each, who will work on small scale robots that could be carried and deployed off from a larger platform. These robots should seek to access some form of extreme terrain that might be found on Mars. Examples include, but are not limited to crater walls, lava tubes, subsurface water flows. Specifically, the money will be used as the team's hardware budgets, allowing them to buy motors, sensors, and electronics for their projects. The students will be required to make a final presentation on their efforts. In the proposed research, new three-dimensional crystalline dislocation-density based plasticity formulations will be used with grain-boundary (GB) kinematic interfacial schemes, new void nucleation and growth formulations, specialized computational models, and experimental measurements to predict how failure initiates and how it evolves, as transgranular or intergranular modes, to complete rupture in high strength steels, such as HSLA 100, dual-phase steels, and bainitic steels. This methodology will be used to determine how dislocation densities evolve and accumulate on different slip-systems in polycrystalline aggregates representative of high strength steels that will account for combinations of f.c.c. parent and b.c.c. habit planes that is physically representative of high strength steel alloys. The Consortium for Advanced Simulation of Light Water Reactors, CASL, supports the broad national missions of enabling energy independence; supporting economic growth through the offering of superior technology ; and being good stewards of the environment, buy enabling predictive simulation of nuclear power plants. Such capability will make possible power uprates, lifetime extension and higher fuel burnups for currently operating and new Generation III+ nuclear power plants.